Following the release this year of Neil Young’s 1971 Massey Hall concert and a third tribute album comes Chrome Dreams II. Featuring ten new songs and covering a range of musical styles, there is something for all of his fans on this recording. “Where Living With War and Everybody’s Rockin’ were albums focused on one subject or style, Chrome Dreams II is more like After The Goldrush or Freedom, with different types of songs working together to form a feeling,” explains Young in the handy press release we received. Neil begins by taking us back to his early, folk days—with acoustic guitar and harmonica taking the lead on “Beautiful Bluebird.” Found throughout the lyrics are recurring images of light, heaven, windows, and birds—giving a sense of optimism and beauty to the album. According to Young, “some early listeners have said that this album is positive and spiritual. I like to think it focuses on the human condition.” That condition, however, isn’t all bright and beautiful. Tragic tales of criminals, drunks, and other hard-luck folk can also be heard on the album. “Ordinary People” is a highlight, clocking in at roughly eighteen epic minutes. Slow and steady, the rhythm grabs you as it builds into a wall of horns and a Crazy Horse-era guitar workout. This song will get stuck in your head, in a good way. Don’t worry; Neil can still bring the grunge, as is shown on “Dirty Old Man”—a fuzzed-out rocker about battling the bottle. Closing out the album, “The Way” is an uplifting piano ballad which features The Young People’s Chorus of New York City. 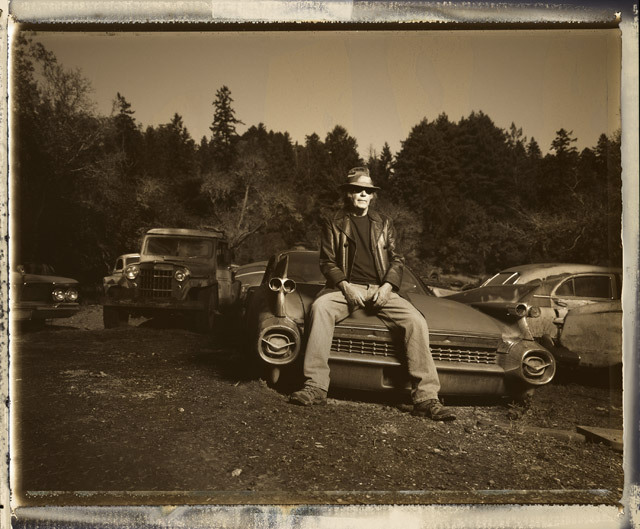 Neil Young plays Massey Hall on November 26th, 27th and 29th. Here’s hoping you already have a ticket, as all three shows are sold out.